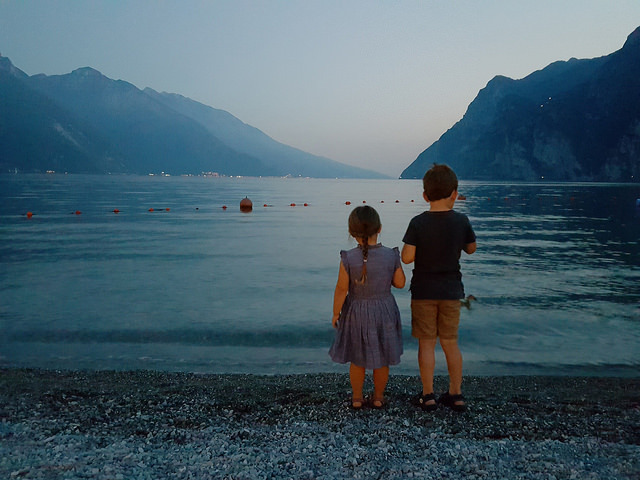 While we’ve been abroad with the kids a couple of times on quick trips to Zurich and Belgium, but never on a longer holiday – so we were incredibly excited about taking them to Italy for a week. 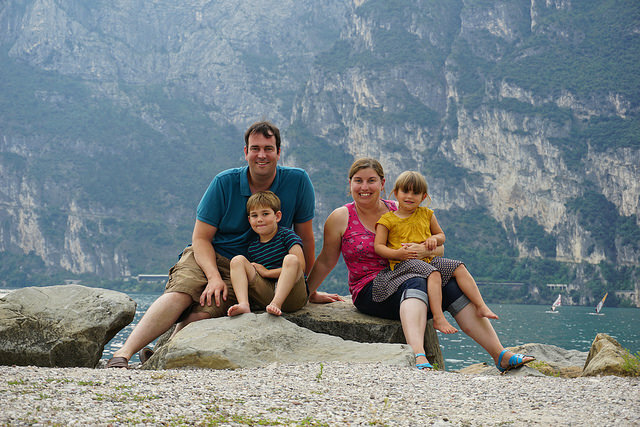 After Matt’s glowing reviews of Lake Garda, we booked cheap flights to Milan and found an Airbnb apartment in Riva del Garda on the northern tip of the lake near the Dolomites. It was a pretty long journey, but the view that greeted us was worth the early start! 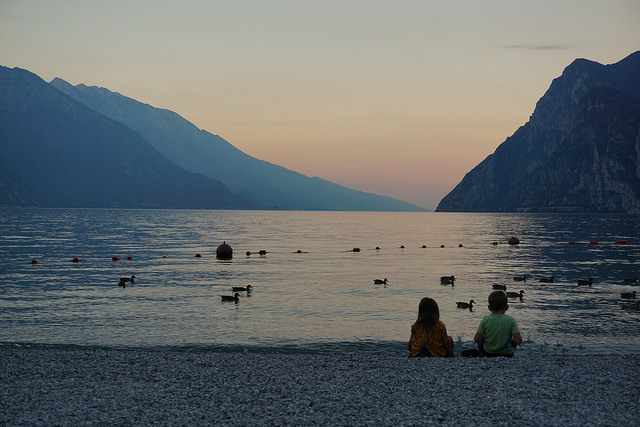 This was about a 10 minute walk from the apartment, and was where we spent every evening – armed with ice cream and plenty of stones for skimming. It was heavenly! The children adored it – and I think still miss the evening routine! And we’ve been remembering our stone-skimming skills up here in Scotland – allbeit with a few more layers on! Whenever we could, we got out on or into the water! 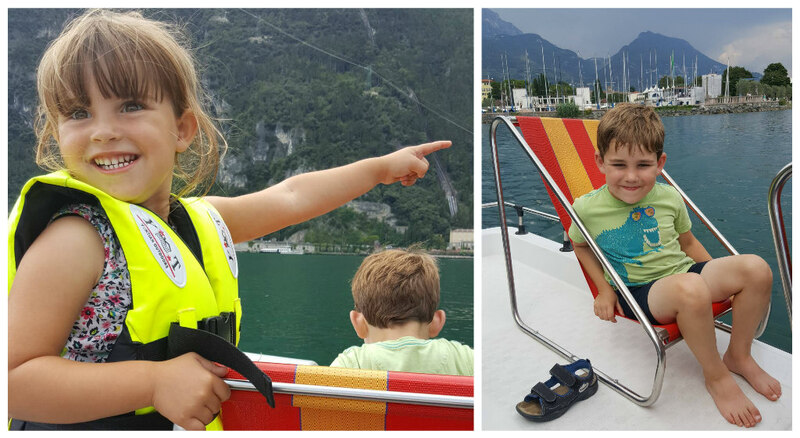 We kicked off the week with some pedalo action, exploring the coastline around the town – Lake Garda looked even more appealing when we were out on it. Such clear water! 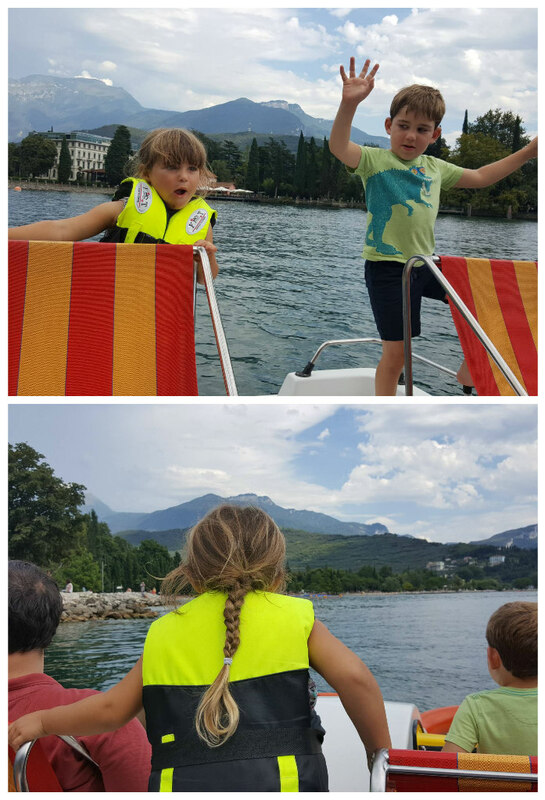 The kids loved the pedalo, Alex helping out with the pedalling and Sophie giving directions! 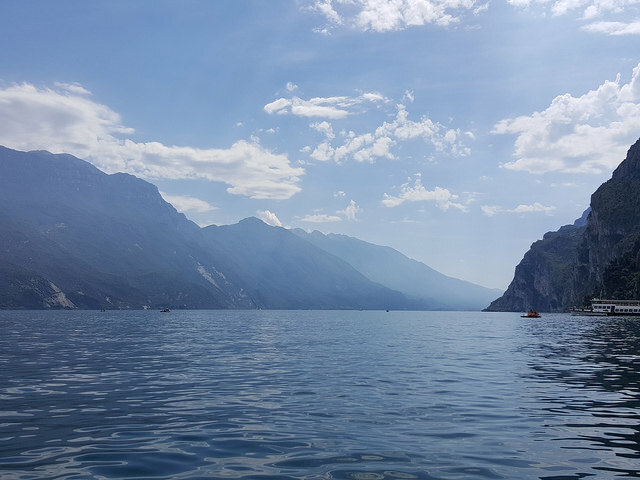 Riva looked beautiful from the lake. I’m surprised no-one fell in! 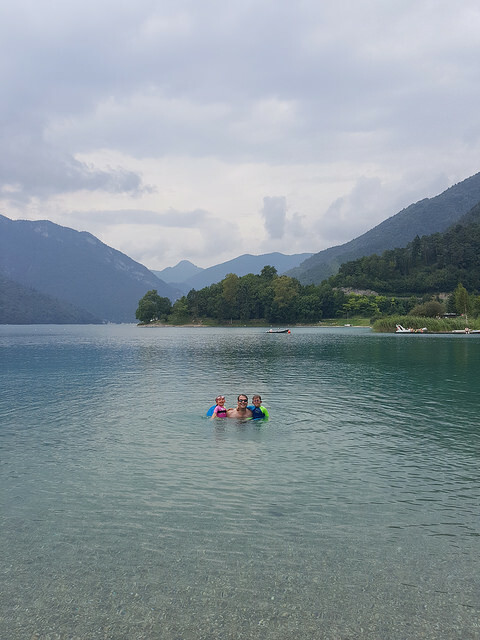 While we loved Lake Garda, the beaches were pretty busy, so we spent a couple of days on the nearby Lake Ledro. Much smaller and quieter, it was the perfect place for a relaxing family day out. 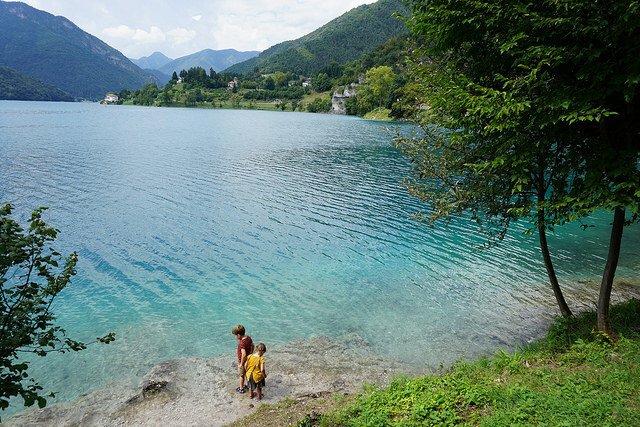 It was absolutely stunning – and we attempted a bit of a walk around its shores, but the kids weren’t keen on walking in the hot weather, so we didn’t get far! Turns out Alex and Sophie don’t do well in the heat! Look at how blue the water was! So we set up base on one of the little beaches along the shore with picnic supplies and plenty of sun tan lotion! 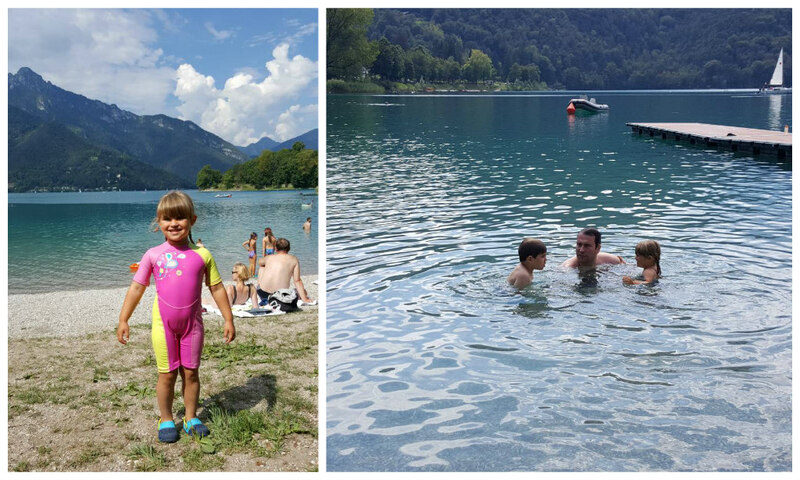 The water was so clear and the weather so hot that the kids went straight in! 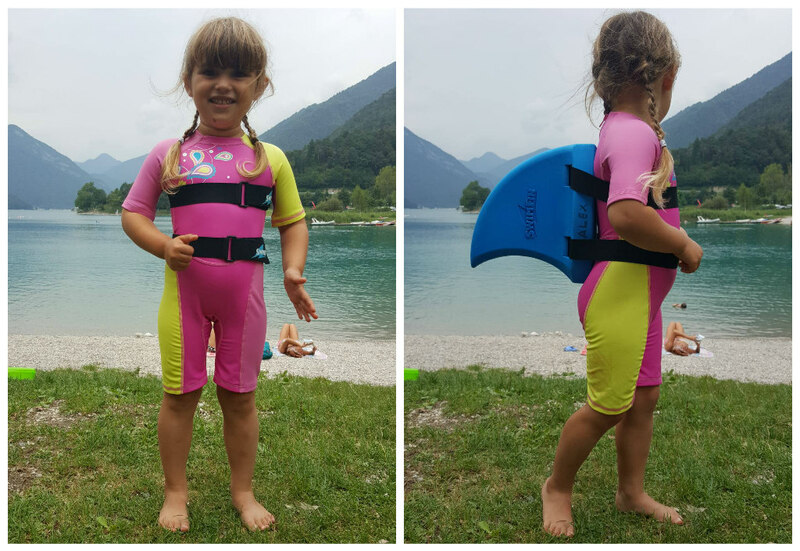 Sophie looked fabulous in her wetsuit and swimfin – which meant for a really stress-free time for us as she could comfortably swim about herself! 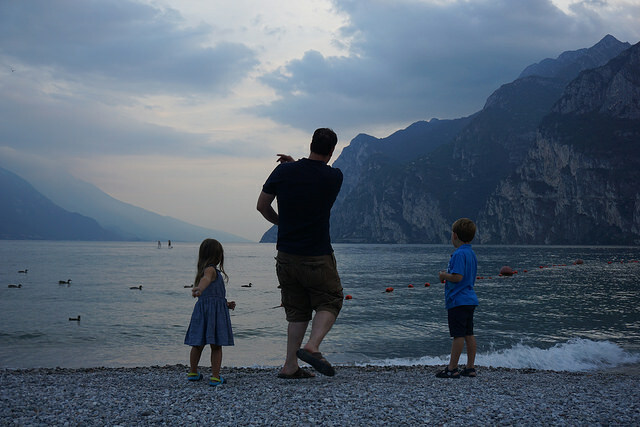 I love this shot of my little family – they were so happy in the water, diving under to watch the little silver fish that darted around their feet. 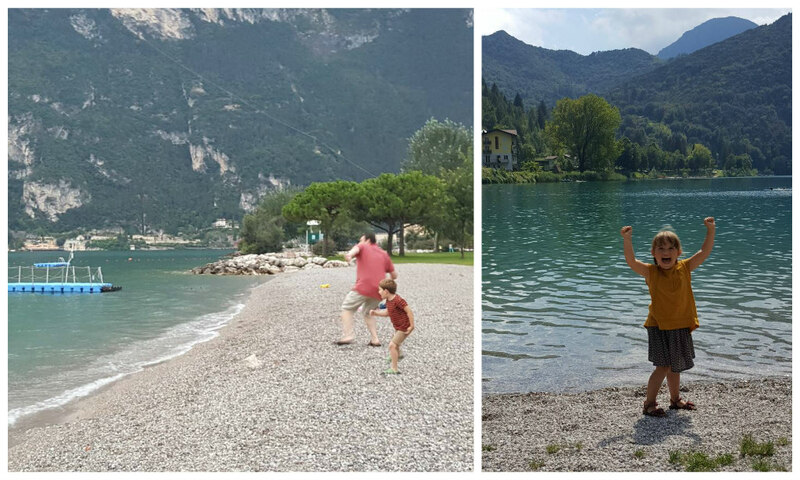 There was, of course, more stone skimming! 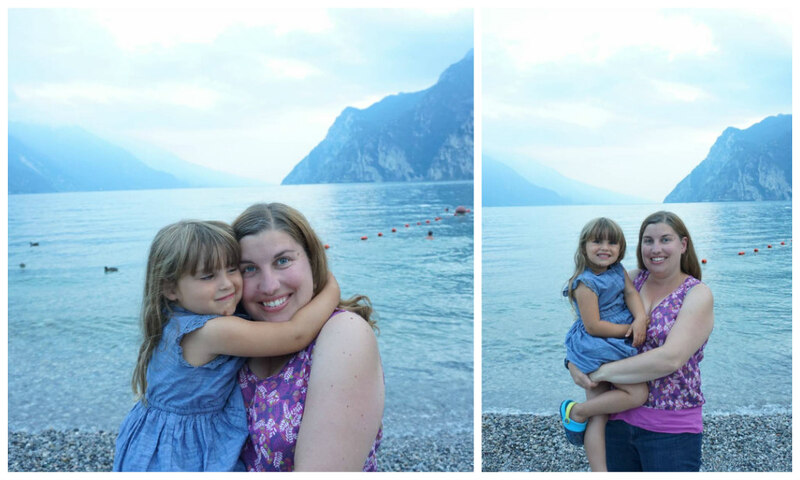 Lakeside living was such a joy! In the next post, I’ll share the rest of our photographs from some of the sites we visited near the lakes – but for now, I’ll leave you with a couple of my favourite picture from the week. 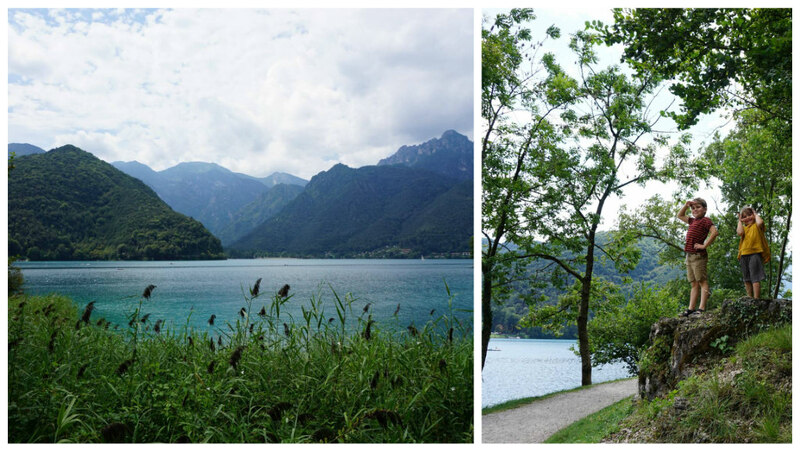 Much as I’m loving it being up in Scotland, I must admit to rather wanting to transport myself back into these pictures!